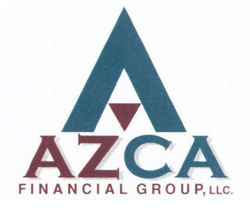 Several characteristics distinguish AZCA Financial Group from other wealth management firms. Integrated wealth management: We serve as a personal CFO for each of our clients, helping you integrate all aspects of your financial life so that these diverse components are working together efficiently. When appropriate, we partner with other professionals, such as attorneys, accountants and insurance specialists, to create an integrated approach to wealth management. Tax-efficient planning: We believe that tax planning is an integral part of overall financial planning. To that end, we help identify and implement tax-efficient investment strategies. Customized service: Your financial situation is unique, and a generic financial plan won't help you achieve your objectives. In order to serve you effectively, we offer services that are customized to meet your specific needs. We also work with you over the long term, so we can adjust your plan as your circumstances change. Independent advice: As independent financial advisors, we are free to offer truly objective advice, since we have no loyalty or obligation to promote a certain company's products. Active management: Instead of the "buy, hold and hope" approach that is often used, we embrace an active management strategy, meaning that we are proactively monitoring and adjusting your investments as market conditions shift.